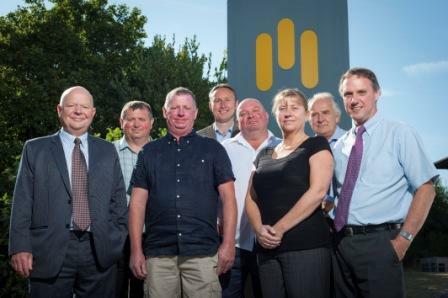 The Midas Group has given out awards to staff from across the Devon and Cornwall region in recognition of their long service and to honour them for their work on specific projects. Long-service awards were made to 31 staff during two ceremonies held at St Mellion and in Exeter, with certificates given in recognition of working for the company for periods of between five and 30 years. In addition, Cornish teenager Bryony Nott won a special award for best representing the “vision of The Midas Group” just a year after joining the company in her first full-time job. She began work as an appreciate receptionist and secretary for Midas Construction’s Devon and Cornwall division at its Indian Queens office last summer.